What is a Cutting Garden? A cutting garden is, essentially, a garden designed to provide cut flowers for creating indoor flower arrangements. Like a vegetable garden, a cutting garden has a specific purpose and therefore is usually planted a little out of the way where it isn’t the focus of a landscape. To establish your own cutting garden, follow these tips and suggestions. Take some time to design your garden. As you plan the layout, consider the space you’ll need to maneuver and reach the flowers and plant wide rows with space between them. Group plants together according to what they need, like the amount of sunlight or water they require. For ease of cutting as well as visual appeal, organize the garden by your plants’ mature heights. Now, how to choose which flowers to plant? You’ll want flowers with long stems, for obvious reasons, and ones that will grow well where you live. Beyond that, think about your arrangements. This depends on personal preference, but consider plants with attractive foliage, fill plants (like baby’s breath), and flowers that will dry well, too. This is another case of personal preference. Growing perennials means no replanting and a little less maintenance work. But traditionally, annuals are grown in a cutting garden. 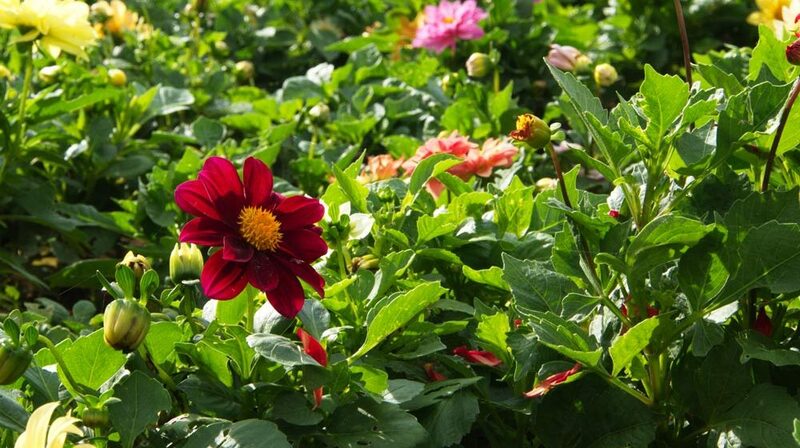 The benefits of annuals are their growing speed and repeat blooming. You’ll be able to get lots of arrangements out of a cutting garden of annuals, although it will require more effort on the front end. It can be difficult to know where to start when planning a garden. Following are some suggestions of flowers that will do well in Florida and are suitable for a cutting garden. Zinnias are heat-loving annuals that come in a variety of bold, beautiful colors. They also come in several forms; some varieties have single-petal layers and others have multiple layers. Salvias are a wonderful addition to a cutting garden. They come in annual and perennial species, a variety of color and size options, and they do not have any serious pest issues. Gaillardia is a member of the sunflower family that provides a beautiful cut flower. Gaillardias attract butterflies and reseed themselves, so they will return year after year. Gerberas are part of the daisy family and grow large, bright, long-lasting blooms. This plant will grow as an annual in North Florida and a perennial in Central and South Florida. The Bird of Paradise is a bold and beautiful choice for a cutting garden. Some gardeners hesitate to grow these because they do not bloom all at once, but they are a long-lasting cut flower and will add unique color and shape to your arrangements. Of course, maintaining your garden is very important. Don’t be afraid to cut flowers regularly! Your plants will continue to bloom and cutting them back will encourage the blooming even more. Watch out for any plants affected by disease or pests and remove them immediately, before the problem spreads to other plants. Use these tips to get your garden started and enjoy the next season of beautiful arrangements that come right from your backyard!